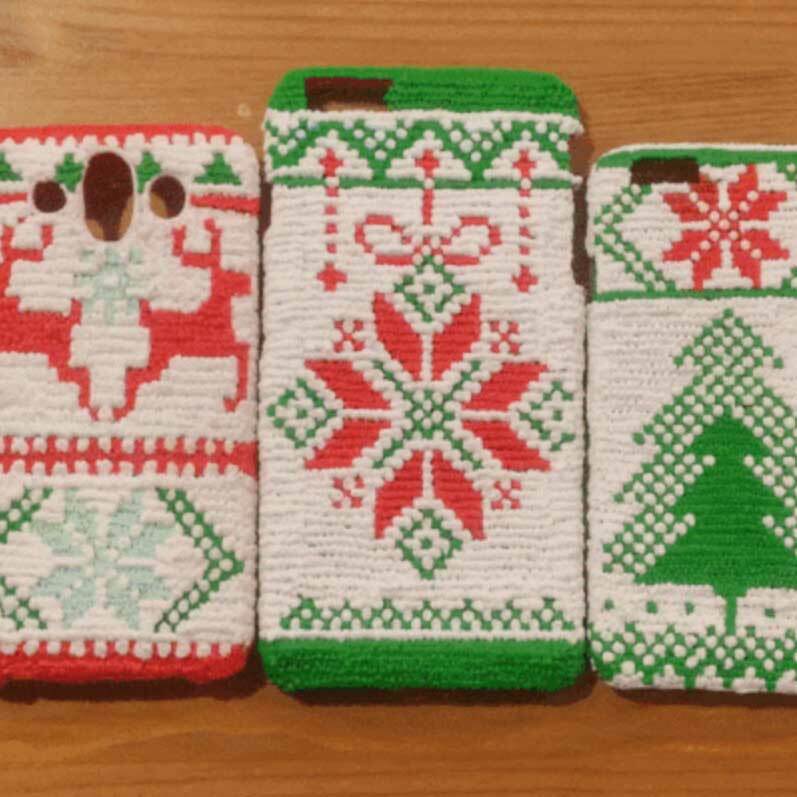 With the 3Doodler Start and our environmentally-friendly Eco-Plastic you can "knit" your phone a holiday sweater of its very own! And no hot parts on the Start means you don't have to worry about damaging your electronics - you can Doodle right onto your phone without the risk of doing any damage! Tape your stencil onto your phone using masking tape. Tip: Masking tape works best as it won't leave a sticky residue on your phone, and the plastic will come off the tape easily! Start by Doodling one of the colors on the stencil. Work horizontally across the pattern, using a zig-zag motion with your 3Doodler to give texture. Tip: You may want to use your finger to smooth out any pointy ends left by the pen, but be careful not to push down too hard or you'll erase the texture that gives this case it's knitted look! Follow the pattern with the next color, continuing to work horizontally and using the same zig-zag motion. Tip: When you push the button to stop Doodling, wait until you hear the filament retract before lifting the pen - this will help prevent long stringy strands of plastic! Fill in the background color with white (or whichever color you choose!). Make sure you use enough plastic in between the other colors to bind everything together. Tip: Don't worry about going to the edges of your phone yet, as we'll remove the pattern from the paper first before constructing the case! If your phone is smaller, the pattern may wrap around the edges. Carefully peel the paper from your Doodle. Place your Doodle back onto your phone in the position you want it, and begin to Doodle around the edges, wrapping around the sides of your phone. Tip: Make sure to leave space for the buttons and camera on your phone! Finish your case by Doodling around the edge to create a nice border. Once the plastic has had time to solidify, you can carefully peel your case off your phone! Share the love by making gifts for your friends and family, or match your phone to your favorite holiday sweater! 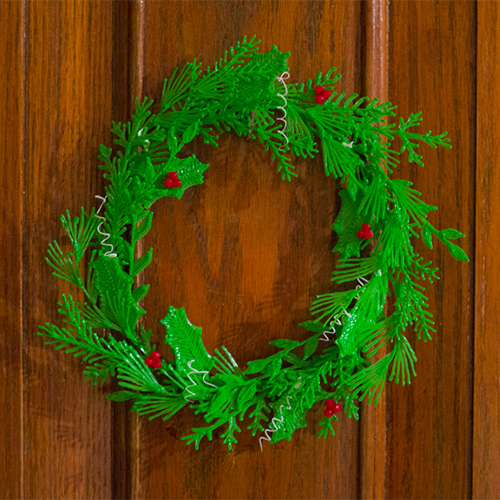 Celebrate winter with a welcoming wreath that’s easy to customize and can dress up any door, wall, or cozy fireplace. 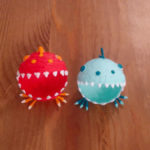 Organize your stationary and office supplies and keep your desk clean with these helpful Doodled gremlins. 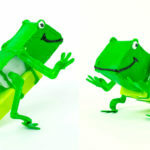 Combining creativity with STEM learning, the new motor and battery pack included with the 3Doodler Start Robotics Pen Set or Activity Kit means you can create your own moving robot froggy friends.